Souvenirs & Gifts To Make You Smile! Looking for the perfect souvenir? Stop by one of our unique gift shops to pick up the perfect Idlewild t-shirt or hoodie. 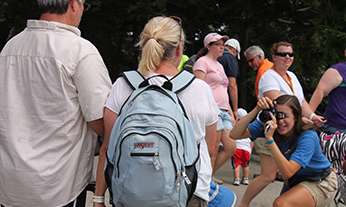 Relive your special family memories from the park with a photo keepsake, or enjoy a book about Idlewild's long history. 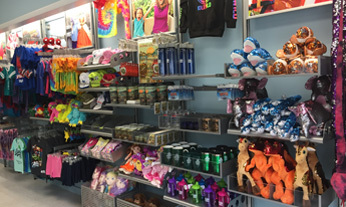 Magnets, keychains, plush animals, toys and more await you in every location! Located in Olde Idlewild, this newly remodeled shop is the place to stock up on your Idlewild t-shirts, sweatshirts, jackets and other apparel. Also home to jewelry, footwear, souvenirs and much more. 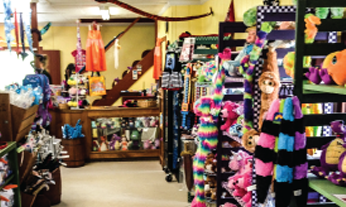 In the heart of Hootin' Holler, the General Store has everything from toys, candy, specialty décor items, clothing and more! Don't forget to pick up a copy of one of two books published about Idlewild - or maybe pick up both! 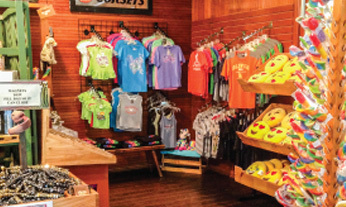 This giftshop in Story Book Forest is the perfect place to pick up a souvenir for the little ones. It's filled with t-shirts, hats, toys, and more for kids. Whether you're looking for something for your little Princess or for your valiant Knight, you'll find it here. 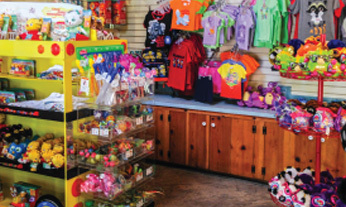 Ricky's Gifts is your place to find soft plush animals, toys, and souvenirs, and it's also home to Daniel Tiger & Friends merchandise. Located in Raccoon Lagoon. 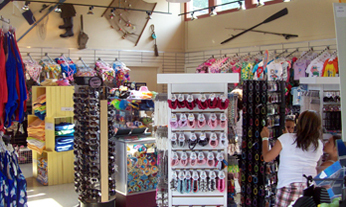 Located in the popular SoakZone, Aquatic Provisions is the place to visit for all of your waterpark needs - swimsuits, sunscreen, sunglasses, towels, footwear, t-shirts, cover-ups and more. Plus, we have a variety of novelty items to enhance your day of fun at the waterpark! 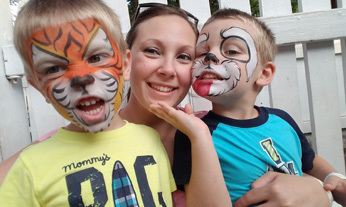 Guests can get their face painted in a variety of different styles, characters, and designs. Also available: hair wraps, tattoos, and customizable spin art t-Shirts. Located in Olde idlewild, with satellite locations in Hootin' Holler and Raccoon Lagoon. Take home a photo souvenir of you and your group having fun in the park. Located in Olde Idlewild behind the Hillside Theater. 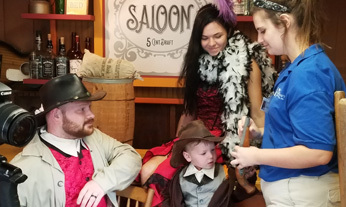 Dress up in classic carb and recreate a scene from the ol' wild west. Located in Hootin' Holler. 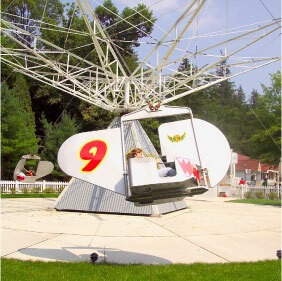 Handimals™ is an interactive, child-oriented destination for “hands-on” fun! 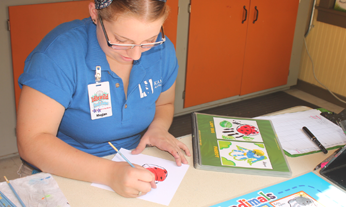 Our Handimals™ Artists transform simple handprints into whimsical animal illustrations! 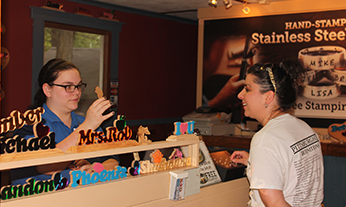 Visit our woodshop in Hootin' Holler for that wooden cutout that makes the perfect custom gift for anybody! Three-dimensional names, or "special requests" are carefully cut to order by our friendly Artisans. Guests may choose from base mounted presentations or wall plaques. A truly unique souvenir that's all YOU! 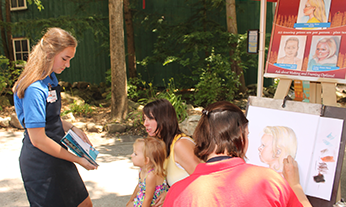 Located in Hootin' Holler, these Pastel Portraits can be completed in only a few minutes. Custom matting and framing options are also available! Always good for a laugh, our Caricature Artists provide a humorous treatment of the artist's subject. 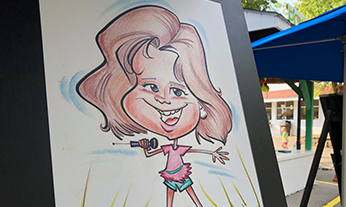 Always a popular item, Caricatures are offered in black & white or color, and can be completed in about five minutes.